A Paolo Soprani Studio 72 Bass Accordion. 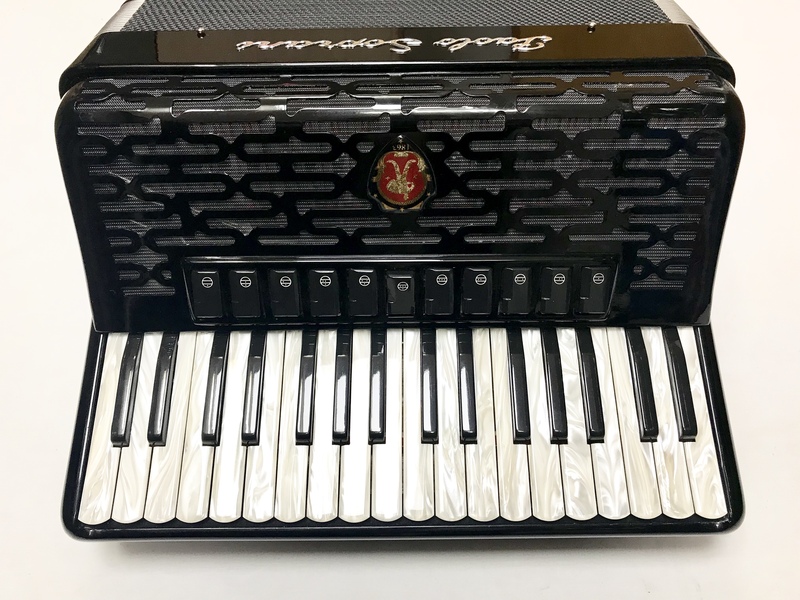 This mid size accordion was built by the highly respected Paolo Soprani factory of Castalfidardo, Italy and features 72 bass buttons and 34 treble keys. This particular example is tuned to a bright four voice musette setup, making it ideal for the French and Scottish styles of playing. 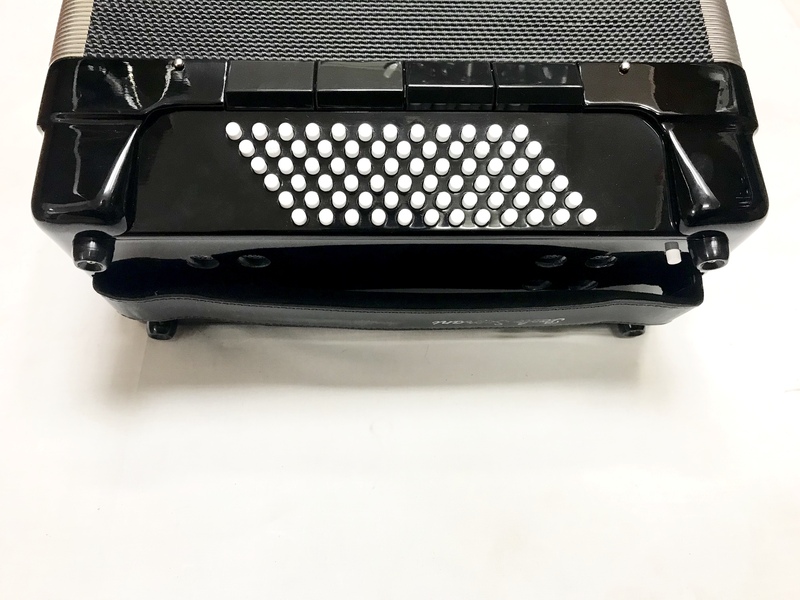 This model features eleven treble couplers and four bass couplers, and also boasts an upgraded treble keyboard with pearl effect keys. Finished in a very attractive high gloss black casework. Pricing details to follow shortly. 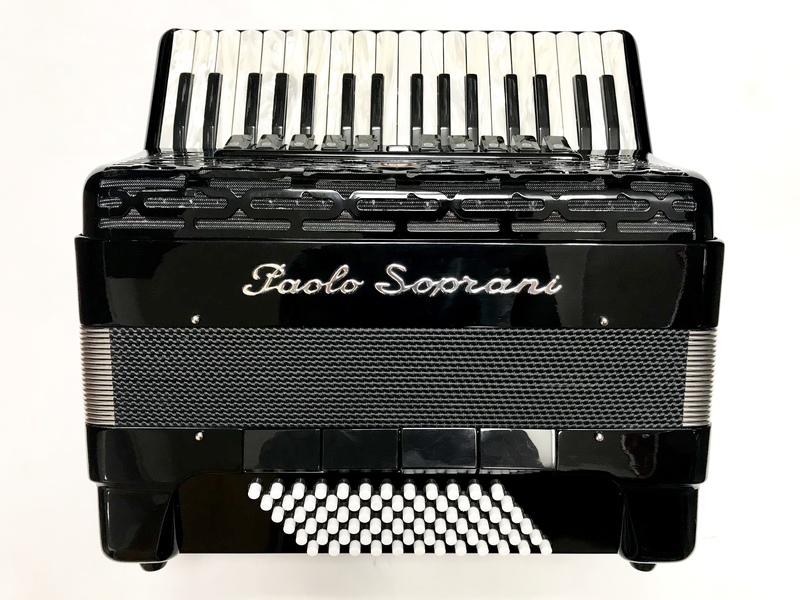 A 0% interest free loan is available on this Paolo Soprani Studio 72 Bass Accordion subject to status via the Arts Council. Terms and conditions apply – please contact us for full details. 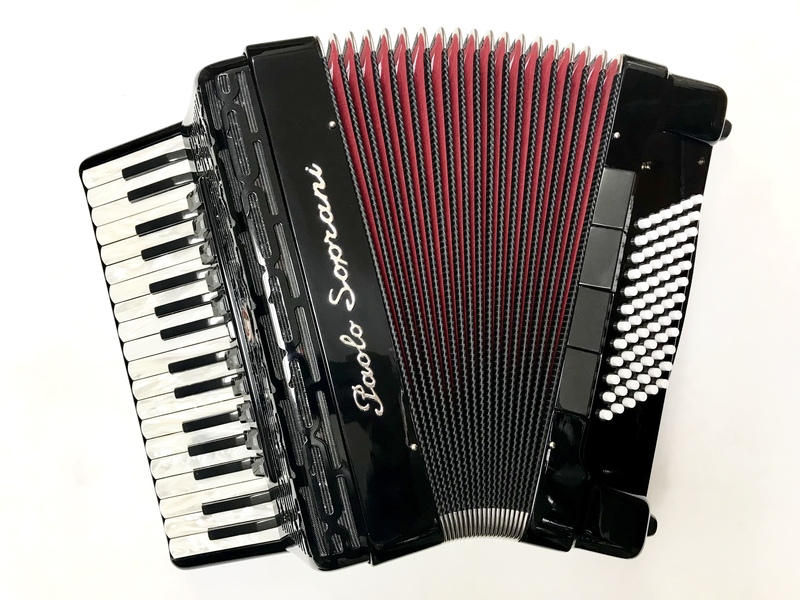 This Paolo Soprani Studio 72 Bass Accordion comes complete with your choice of either a soft gig bag or a hard case, padded shoulder straps and a three year component parts guarantee. Don’t forget, free delivery of this Paolo Soprani Studio 72 Bass Accordion to most parts of mainland UK is included in the price! Weight: 9.53 Kg. - 21.7 Lbs.